Somerset is transformed into a bleak and unforgiving landscape in The Levelling, the self-penned feature debut of director Hope Dickson Leach. Set after the 2014 floods, it lays bare the damage done to farms, buildings and local communities, highlighting a slice of rural life a world away from the picture postcard vistas adorning your holiday box of clotted cream fudge. Following the tragic death of her brother, veterinary student Clover Catto (Ellie Kendrick) returns to a family home ravaged by water damage and a father in denial, living in a caravan. There's evident tension between the two and she struggles with his old-fashioned attitudes, while they simultaneously try to support each other in their grief – usually unsuccessfully. 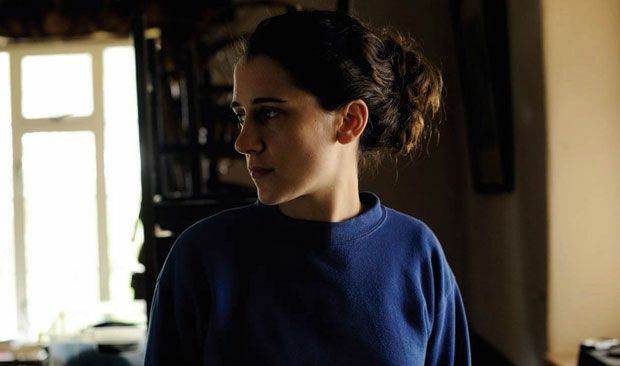 There's a clear Dardenne brothers influence in The Levelling (indeed, Dickson Leach and cinematographer Nanu Segal have talked of their love for the celebrated Belgian duo). The sombre realism is compounded by their chosen colour palette, which is washed with grey and brown, and by the haunting soundtrack of Hutch Demouilpied. It's a strong calling card for Dickson Leach, augmented by some fine performances. David Troughton is affecting and frustrating as dad Aubrey but it's Kendrick – who audiences may recognise as Meera from Game of Thrones – who owns the film. As Clover, she delivers a wonderful portrait of a young woman torn between the pull of home and her longing to be free of parental expectation, all wrapped up in the devastation of losing her brother. It's a deeply moving offering from an actor and writer-director with big things ahead. Selected release from Fri 12 May. Following the death of her brother, veterinary student Clover (Kendrick) returns to her flood-damaged family home and her father (Troughton) in denial, living in a caravan. Sombre, deeply moving Dardenne-ish drama set after the 2014 floods, with fine performances, especially from Kendrick.